As well as blogging I have another hobby and that is music. When I was younger I used to play a variety of instruments (flute, piano and treble recorder) as well as sing but now I tend to stick more to the latter and listening to other people’s music. Music is a wonderful thing that is often underestimated. I love it because no matter how stressed I am it relaxes me and helps me unwind. It is also great for making you associate certain things with it and conjure up memories when hearing just the starting bars to a song. Of course it is made even more memorable if you are lucky enough to go to a show because the atmosphere at arena tours just can’t be beaten. I love the mass of crowds at the O2 and the excitement that builds while everyone is waiting for the artist to start, the singing along and the dancing is brilliant too as well as the innovative parts of the show that are completely unique and special to the artist. An up and coming event at the O2 arena is by Alt J who are an English rock indie band from Leeds. The band were formed in 2007 and has three members, Joe Newman, Gus Unger-Hamilton and Thom Green. This is an exciting tour for the group as it’s their biggest headline show to date and is on January 24th 2015, just six weeks before they release their second album, This Is All Yours. You can buy Alt J tickets on the O2 website. I definitely fancy another trip to the O2! It’s been too long! 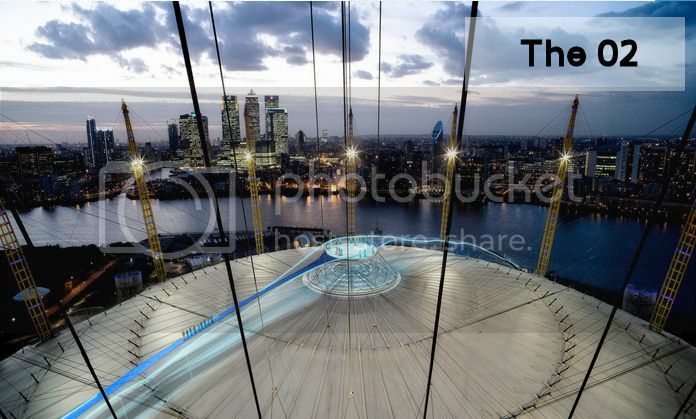 Have you been to the O2 arena?